구장복이란 왕이 면복을 갖추어 입을때 입던 옷이다. 즉 왕이 종묘사직에 제사지낼 때나 조회 등에서 면복을 입을 때 머리에는 면류관을 쓰고 곤복(袞服) 을 갖춰 입었는데 장복(章服)이라고도 한다. 황제는 십이장복, 왕이나 황태자는 구장복, 왕세자는 칠장복을 입었다. 구장복 중 한점은 은조사, 다른 한점은 순인바탕에 커다란 원룡문(圓龍紋)이 있는 갑사종류의 비단으로 만들었다. 은조사 구장복은 검정색의 홑옷으로 5개의 장문이 그려져 있고 어깨 양쪽에는 오조룡의 용문이 금색으로 그려져 있고 가장자리는 붉은색으로 돌려 주었으며 앞쪽에는 화염문이 묘사되어 있다. 소맷단 뒷쪽에는 광명을 뜻하는 붉은색의 불 3개, 제사지내는 기물로 충효를 의미하는 초록색의 종 3개, 꿩을 의미하며 화려하고 아름다움을 나타내는 화충(華蟲)이 붉은색, 초록색, 남색으로 3개가 각각 수놓여져 있다. 갑사 구장복도 검정색의 홑옷으로 5개의 장문은 은조사 구장복과 동일하다. 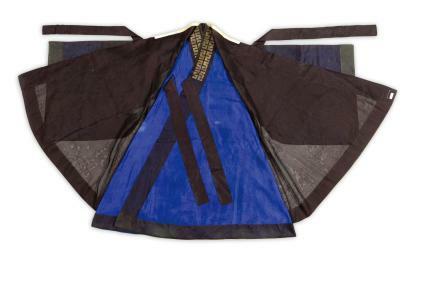 Gujangbok is the King’s ceremonial robe, meaning a robe with nine-symbol design. 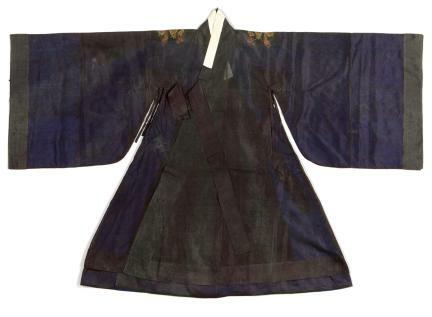 When performing an ancestral ritual at the royal shrine or holding a morning assembly with his retainers, the king wore the Imperial Crown and gonbok (bluish black robe). 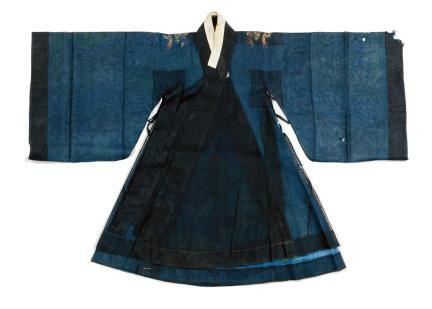 It was also called jangbok. 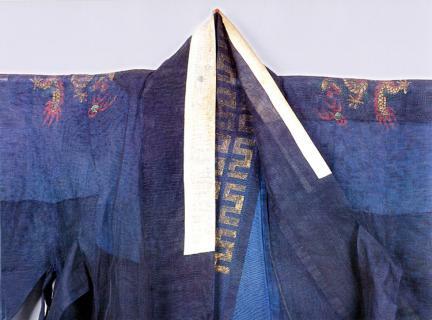 Emperors wore sibijangbok (robe with 12 symbols), whereas the kings or heir to the Emperors’ throne wore gujangbok (robe with 9 symbols). 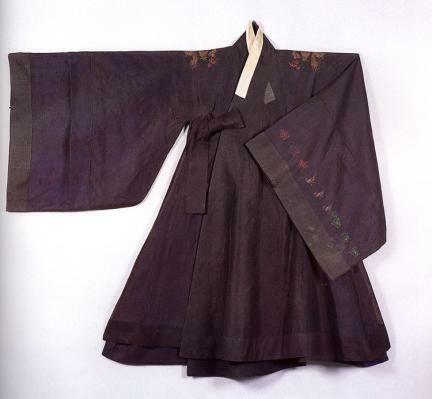 The heir to the kings’ throne wore a chiljangbok (robe with 7 symbols). 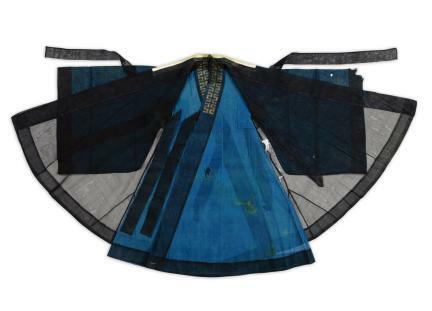 Two sheets of gujangbok made two different types of cloth, both woven with silk thread. One has a big round dragon pattern on a piece of cloth. 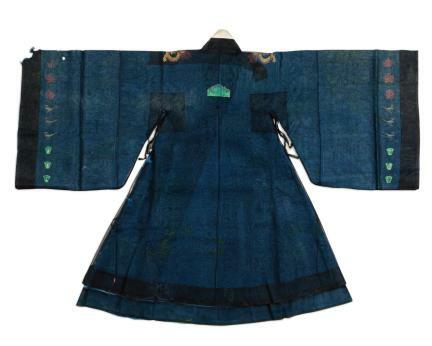 Made of black cloth, it has five symbolic patterns. 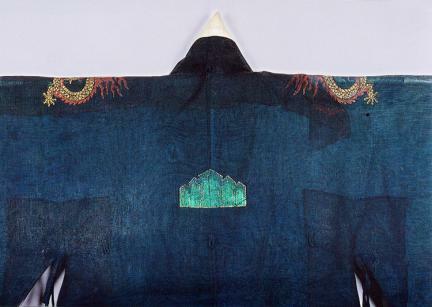 On both shoulders, the pattern of dragon is drawn on gold cloth and bordered in red. The front side has a pattern of flame. 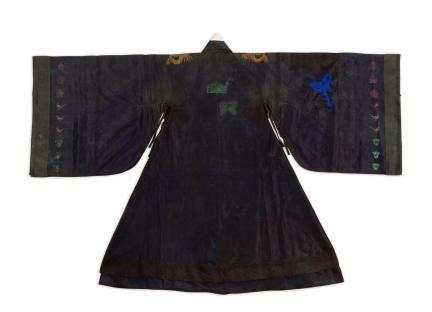 The back side of the end of the sleeves is embroidered with 3 red flames symbolizing hope, 3 green bells as a ritual tool symbolizing loyalty and filial piety, and 3 pheasants embroidered with red, green, and deep blue colors to express splendor and beauty. 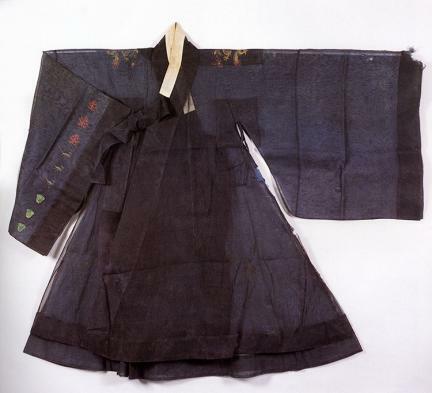 The other one is also made of black cloth, with five symbolic patterns similar to the former.